The base photograph for this image was taken on The Arable Road, just at its junction with the Cooma-Jindabyne Road near the Cooma Airport. The ‘real’ sign marks the boundary of the ‘Brookfield Park’ property. 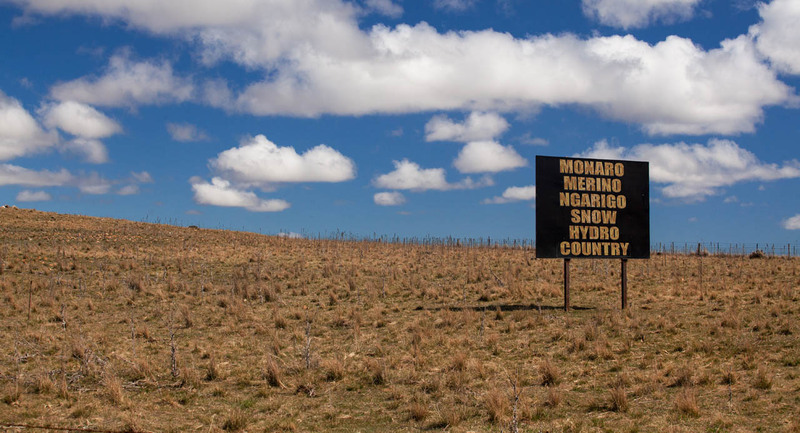 Like the Cooma Welcomes You image, it was inspired by another sign, whose message is “Monaro Merino Country”. I’ve made a few additions to that message (there could have been more) to allow for some alternative designations of the land.